Judaism is hemmed in neatly in the large religious cloak in India. In fact it adds yet another colour to the culture in the country. Although there seem to few Jewish places of worship in India but each one contributes to the rich history of Judaism in this secular country. In our 7N/8D Jewish Pilgrimage, we endow you with an opportunity to seek blessings at important Synagogues in India. Take a plunge in the pool of spirituality and rich history of one of the oldest religion in the world. 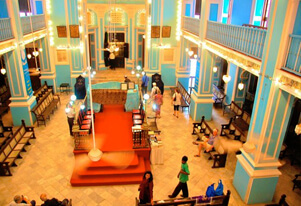 Our tour will begin at the Knesset Eliyahoo Synagogue,which is also known as Fort Jewish Synagogue in Mumbai. We shall also pay homage at Tifereth Synagogue and the Magen David Synagogue along with South of Mumbai rocky outcrop. We will also fly to Cochin to witness the 1568 Synagogue and shall also seize the opportunity to enjoy a short city tour here before leaving for Kolkata. At the Cultural City, Kolkata, we will offer prayer at Neveh Shalom Synagogue, which by the way is the first Synagogue in city. Our tour will conclude with the visit to Magen David Synagogue and exploring some of the flavours of this rich cultural hub of India. 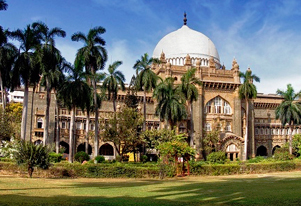 Upon arrival at Mumbai, meet our representative who will assist you to the hotel. Overnight stay at the hotel. Today, after the breakfast, we shall visit Knesset Eliyahoo Synagogue,which is also known as Fort Jewish Synagogue and was established in 1884 by Mr. Jacob Sasson in memory of his father. In the afternoon, we will visit the Tifereth Synagogue and shall attend the evening service at Magen David Synagogue (starts at 18.30 hrs). Overnight stay at the hotel. In the morning, we can visit the Gate of Mercy Synagogue for those who observe Sabbath. A full day tour for those who do not observe Sabbath. Overnight stay at the hotel. Post breakfast, we shall head out for excusion of South of Mumbai to the rocky outcrop. The legend about this place goes like this that 7 men and 7 women survived a shipwreck in the time of Solomon. It is believed that Saint Elijah arrived on his chariot and the mark can be seen on this rocky outcrop. Overnight stay at the hotel. Today, we shall fly to Cochin. On arrival at Cochin, meet aour representative who will assist you to the hotel. In the afternoon, visit the Cathedral, which is the oldest European Church in India. 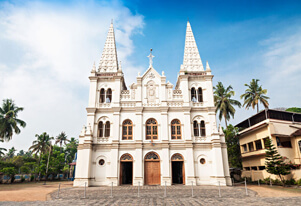 We will also witness Cochin's famous Jewish Synagogue dating back to 1568; the Mattancherry Palace and the intriguing Chinese cantilevered fishing nets. Overnight stay at the hotel. After the breakfast, fly to Kolkata. On arrival at Kolkata, meet our representative who will assist you to the hotel. Overnight stay at the hotel. Today, after having breakfast at the hotel, we shall visit Neveh Shalom Synagogue, which is the first Synagogue in Kolkata. Also, we will pay visit at Magen David Synagogue, where we will also attend the evening service. Overnight stay at the hotel. After the breakfast at the hotel, we will drop you at the airport for your onward journey.